Our Hendersonville office has moved! 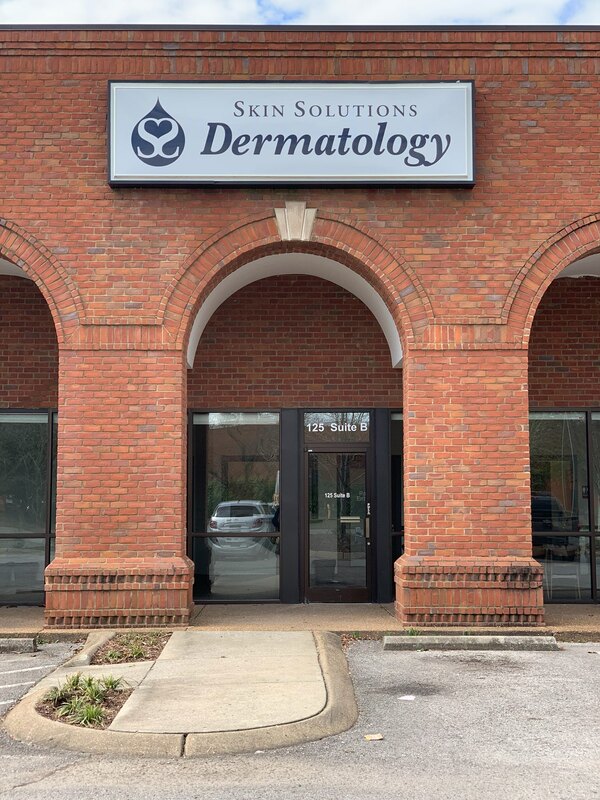 Our brand new Hendersonville Skin Solutions Dermatology office! We are excited to announce that we have a beautiful new space for our Hendersonville Office! This location is incredibly spacious and far easier for you to access! We always want to make sure that we are doing everything we can to provide the absolute best experience for our patients, and we are thrilled to be able to provide even more for our Hendersonville community now. We are in the same shopping center as Smoothie King and across the street from Publix. We look forward to welcoming you to our new space! Kelly Caudle, PA-C, just celebrated her 6-year anniversary with Skin Solutions Dermatology on March 18th! We are very lucky to have her on our team and what an amazing six years it's been. "When I first accepted this position after graduating PA school 6 years ago I never imagined it would be as rewarding as it has been! You are always told to just accept a "starter" position right out of school to get experience - and the old saying 'It's easier to get a job once you have a job!' seemed to ring true from every angle. Little did I know, I was joining the best dermatology practice in Middle Tennessee, with the best supervising physician I could ever ask for! In order to be the best, you have to learn from the best. I feel so fortunate to have not only graduated from one of the top 25 PA schools in the country, but to continue that same high level of excellence in my training under Dr. Pena. Skin Solutions Dermatology has been many things for me over the past six years - but most of all it has been a home away from home! The staff here is warm and welcoming, no matter what the day brings. Everyone operates with a great deal of pride and respect for the patients we are lucky enough to serve. And while I could go on about all of the wonderful things Skin Solutions Dermatology has offered me over the years, it really is all about the patients. They are the heart and soul of this practice. That is what keeps me motivated to work harder every single day! So in honor of this work anniversary I must truly thank Dr. Pena, the entire SSD family, and above all the patients, for making this "starter" job the dream career of a lifetime! Lucky Me!" Lucky US! Thank YOU, Kelly! Be sure to congratulate her when you see her around next! Want to be the first to hear news from the Skin Solutions Dermatology team? !